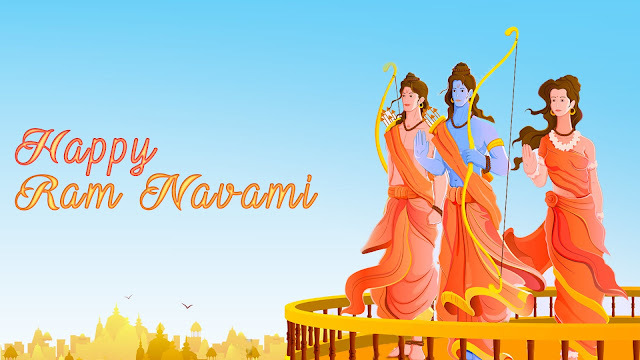 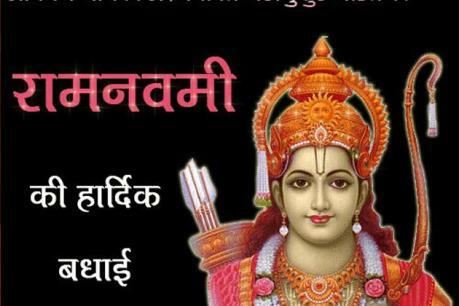 25 March 2018 | Ram Navami History Wishes, Greetings, HD Images and Photos - 365 Festivals :: Everyday is a Festival! 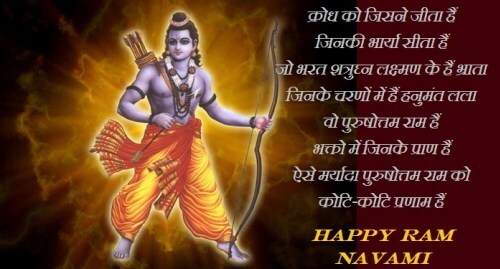 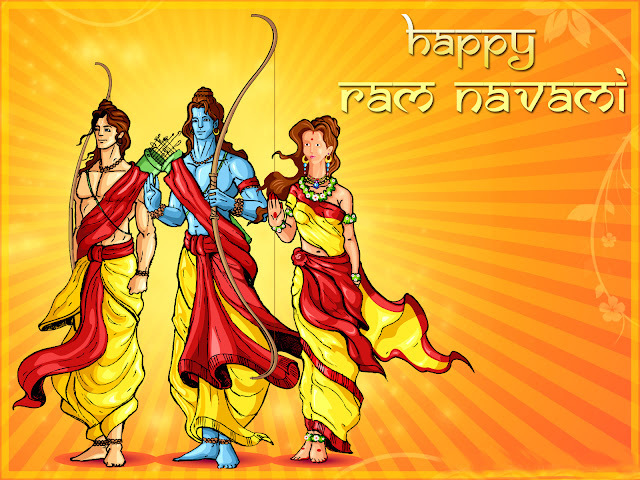 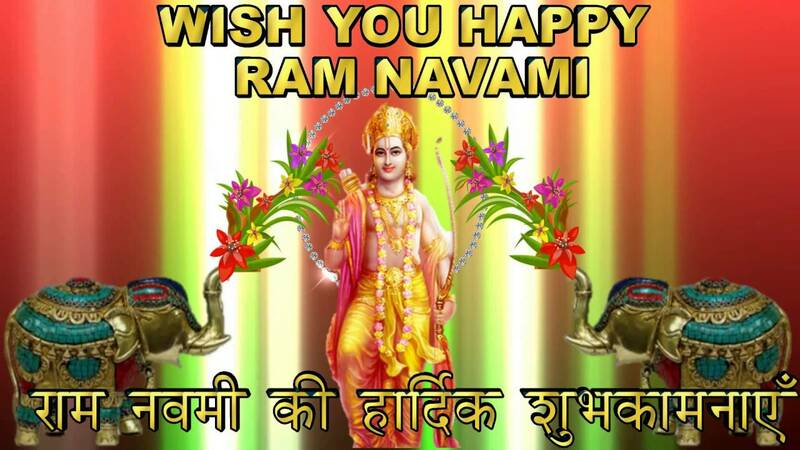 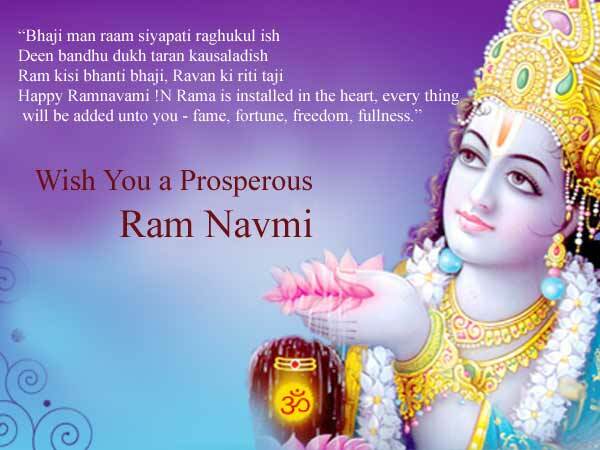 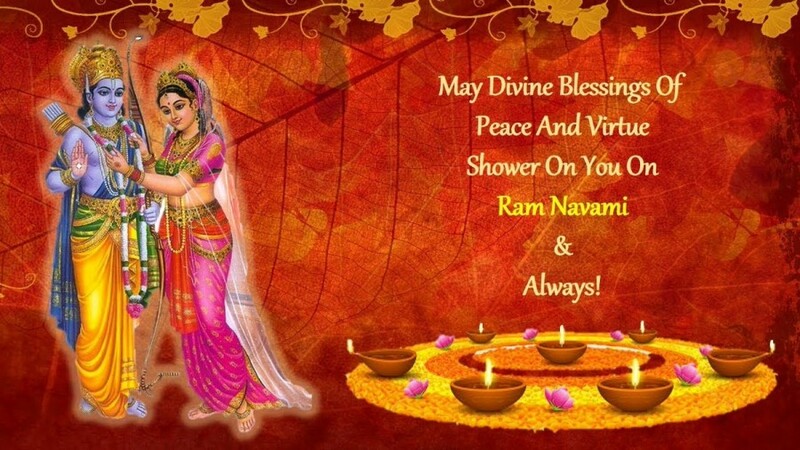 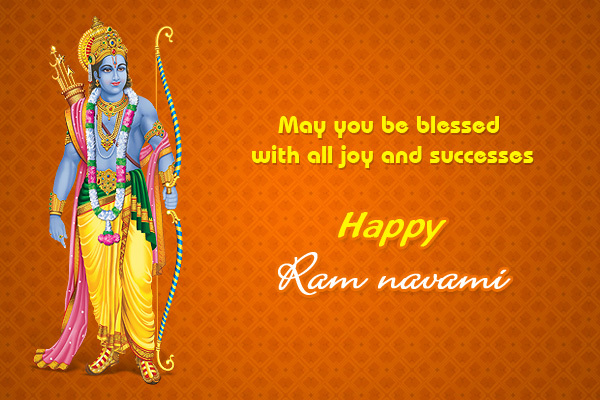 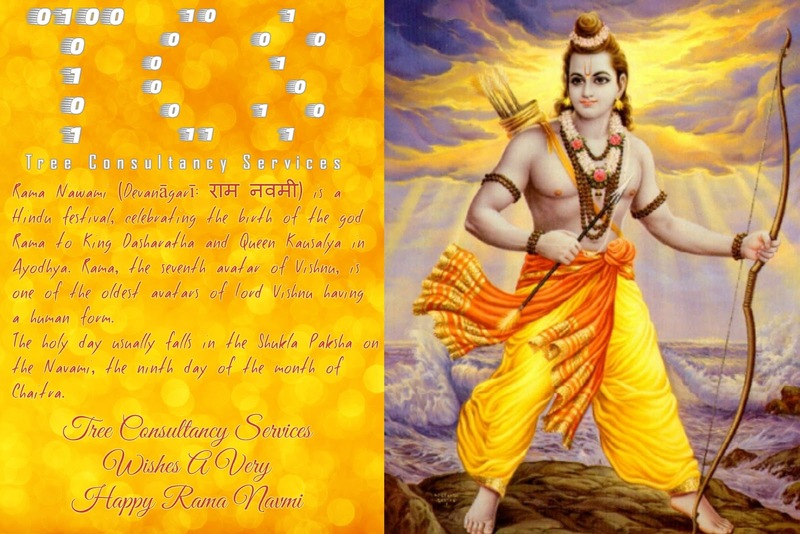 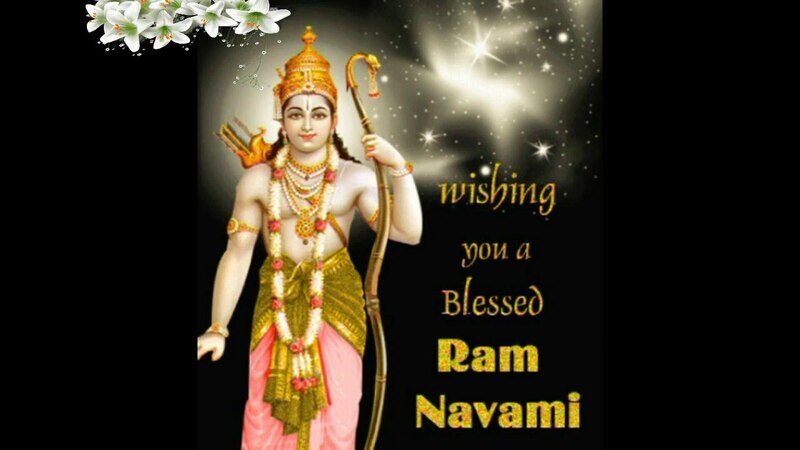 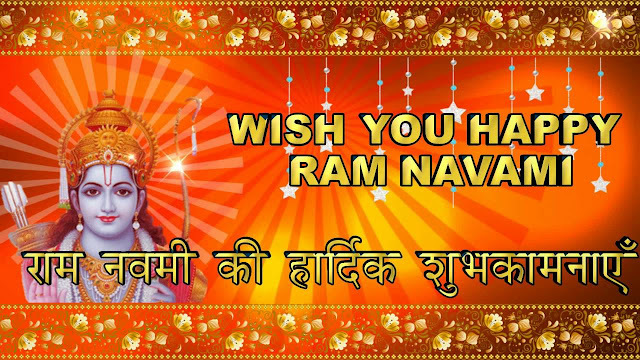 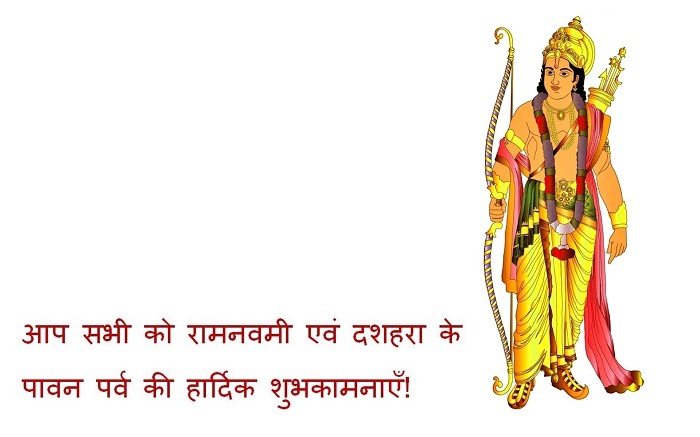 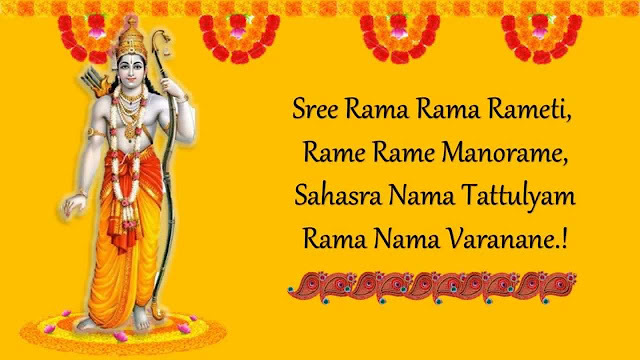 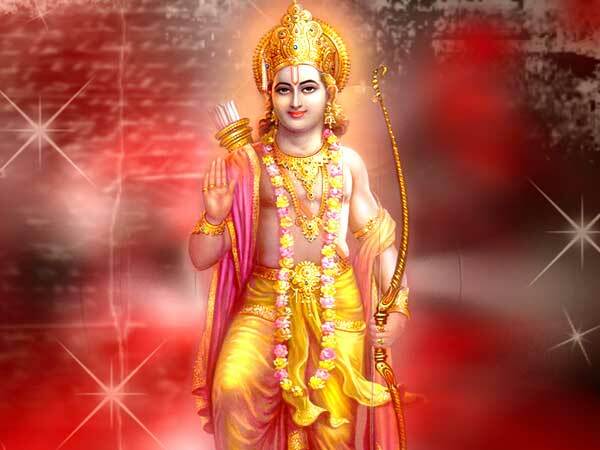 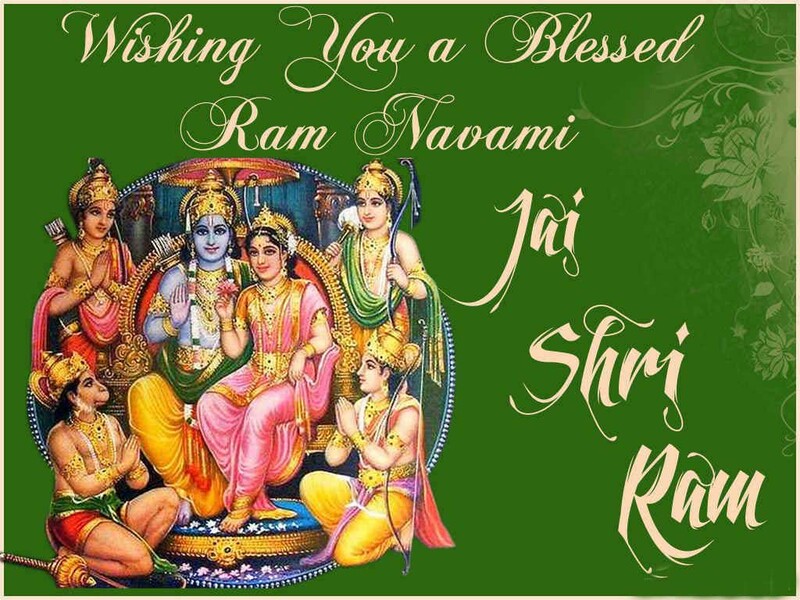 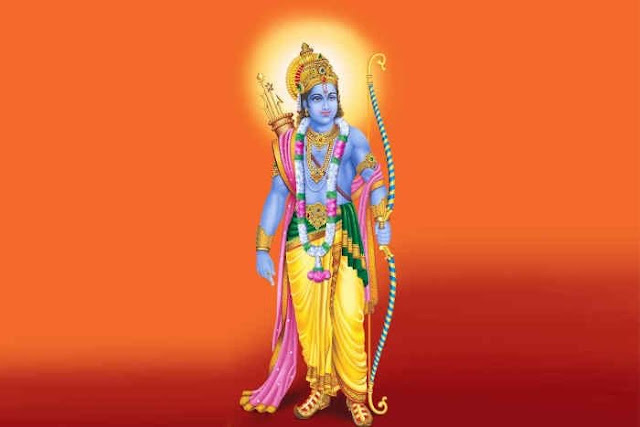 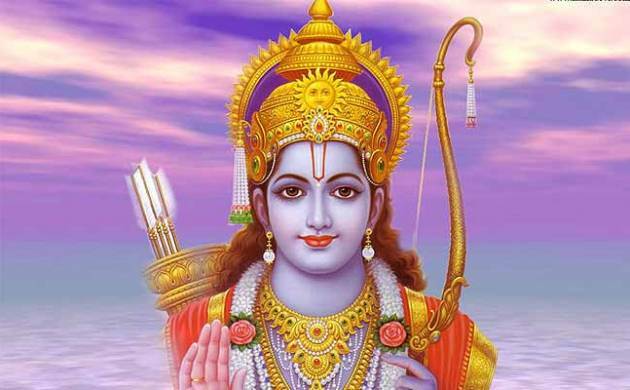 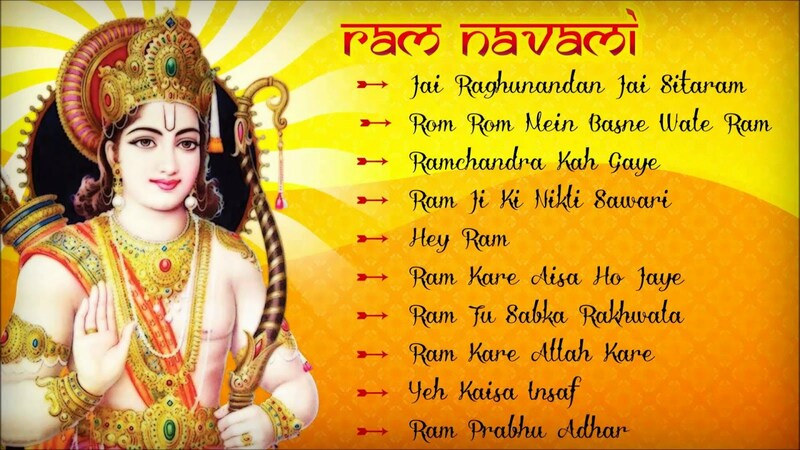 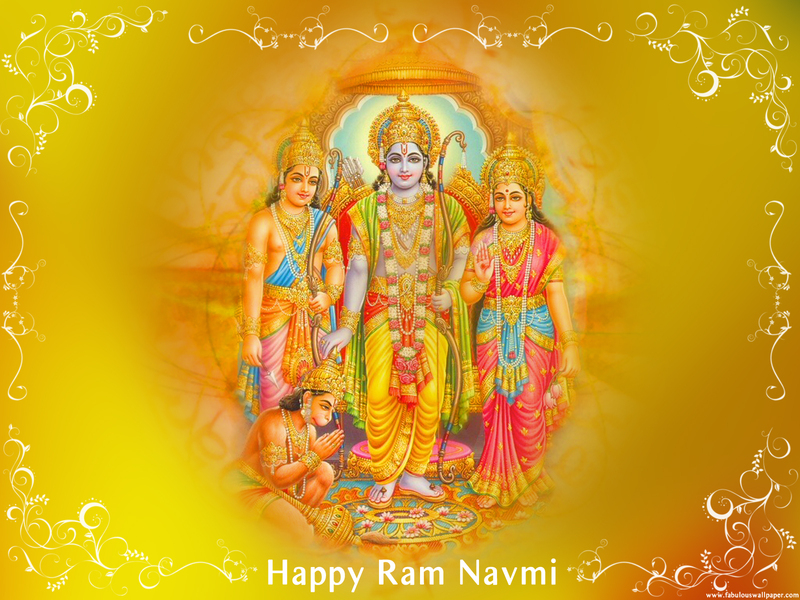 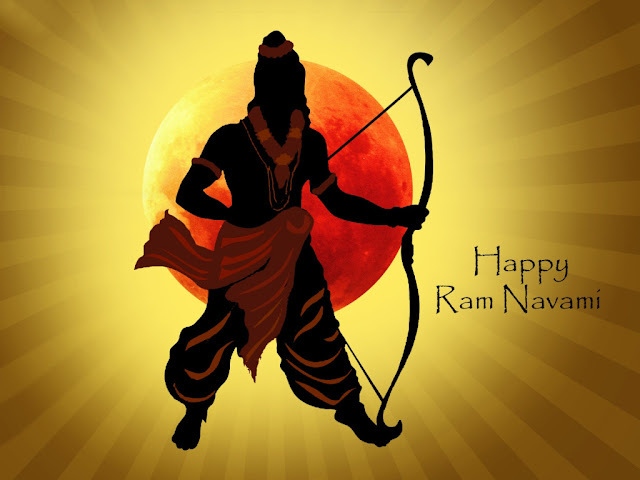 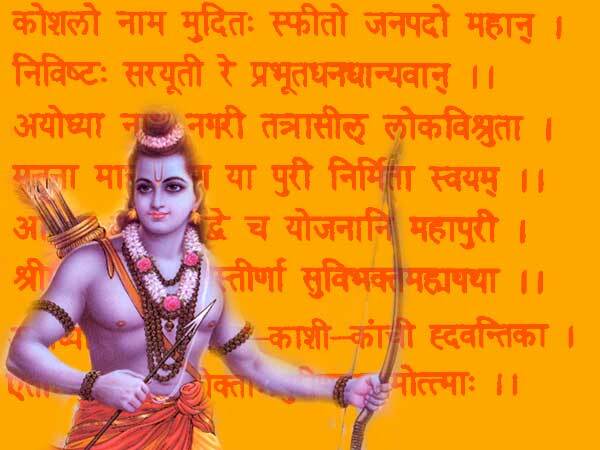 Ram Navami is an auspicious spring Hindu Festival remarked as birthday of Lord Rama. Hindus throughout the world celebrate this day with lot of dedication and devotion. 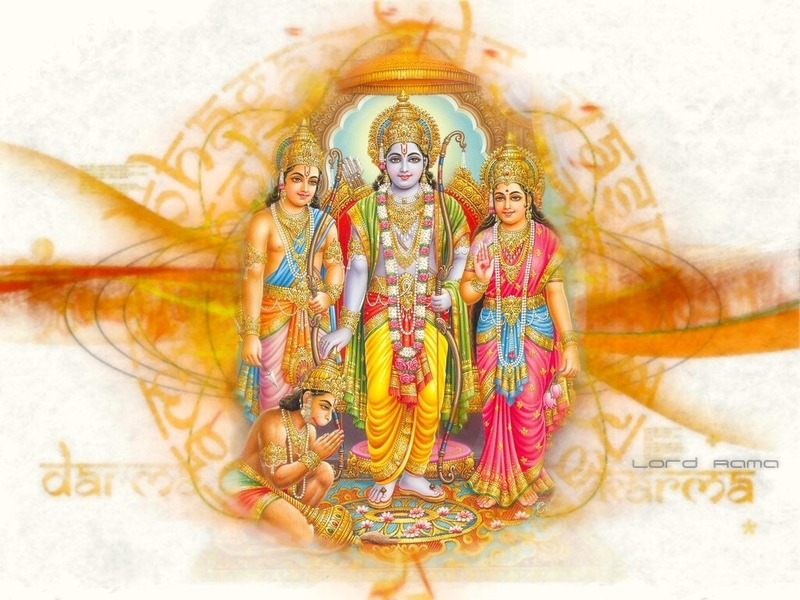 Some people symbolizes this day as wedding anniversary of Lord Ram and Sita. 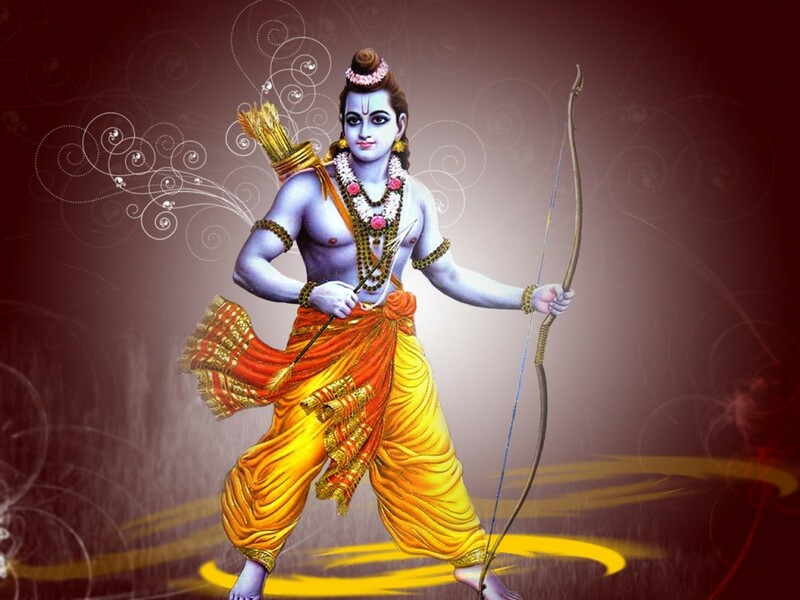 Lord Rama was considered as a historical figure who followed each and every role with devotion and perfectness. As Ram Navami is a great day in Hindu Calendar it is declared as a national holiday throughout India. Lord Rama is said to be the seventh avatar of Lord Vishnu. His birthday falls either in March or April depends on the Hindu Calendar month. 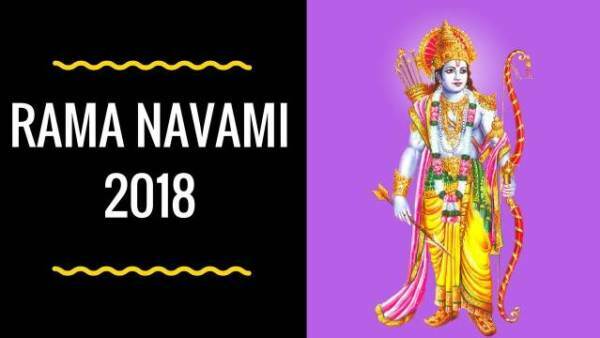 This year Ram Navami would be remarked on 25th March 2018. 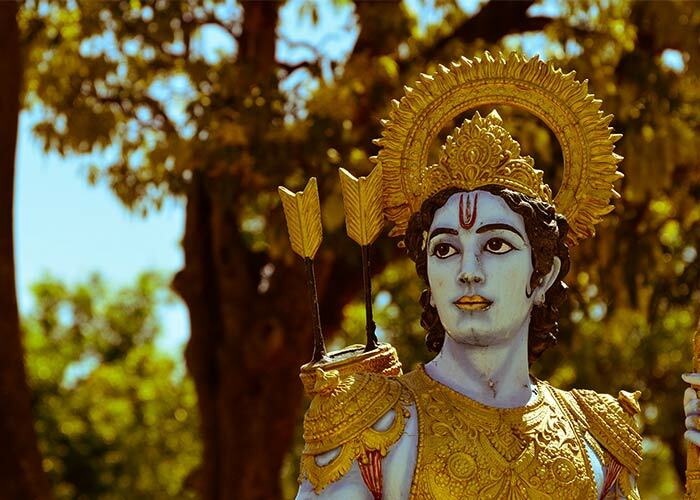 He was born in a royal family of King Dashratha and Queen Kausalya in Ayodha, India. 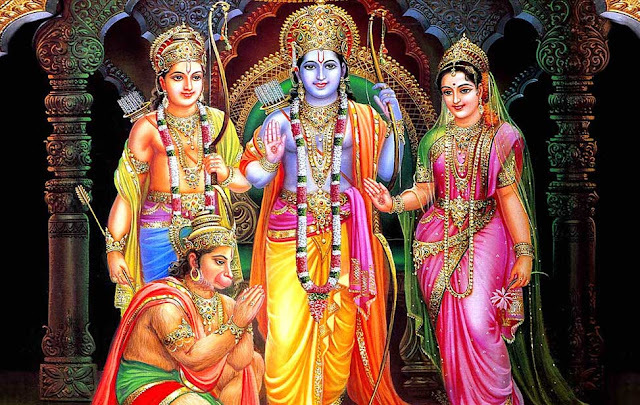 Lord Rama was married with a faithful companion, Sita. 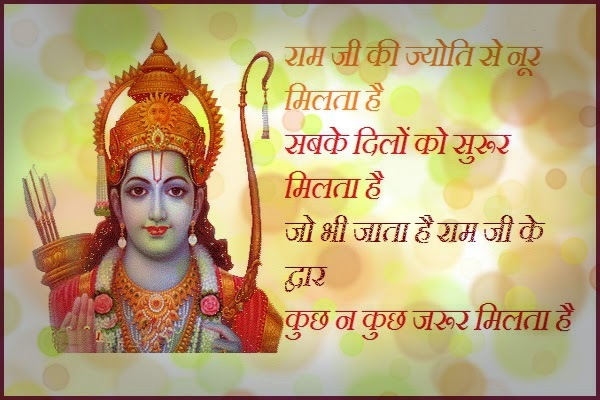 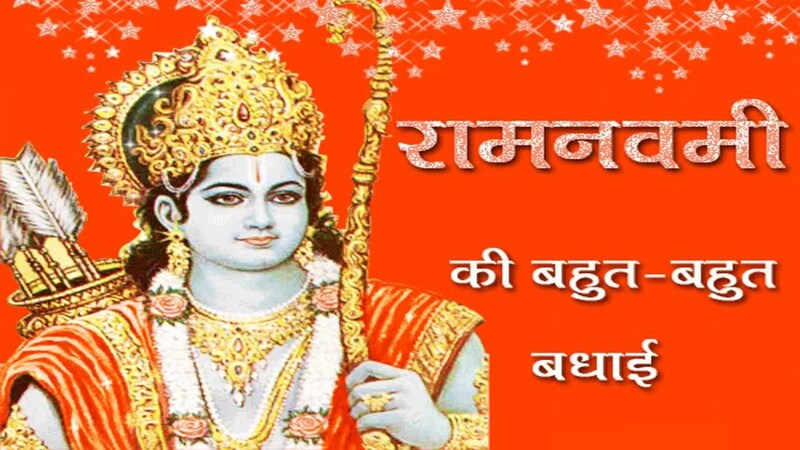 Lord Rama incarnated in this world due to the reason of killing Ravan. 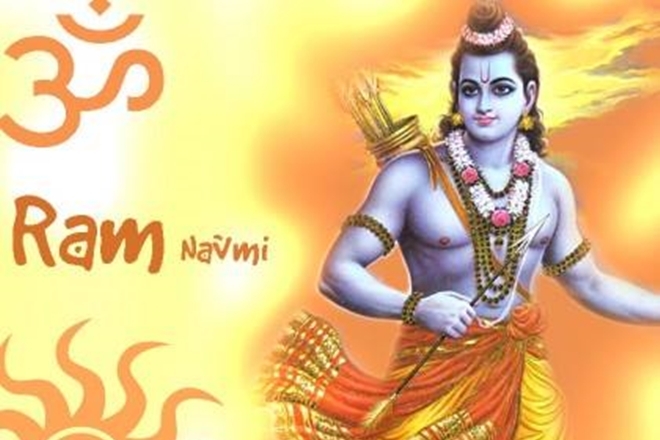 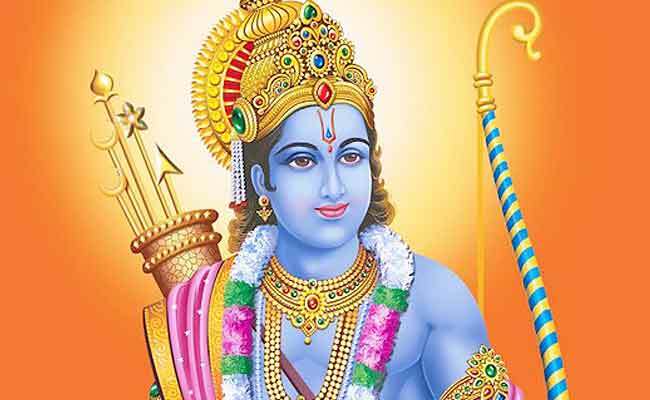 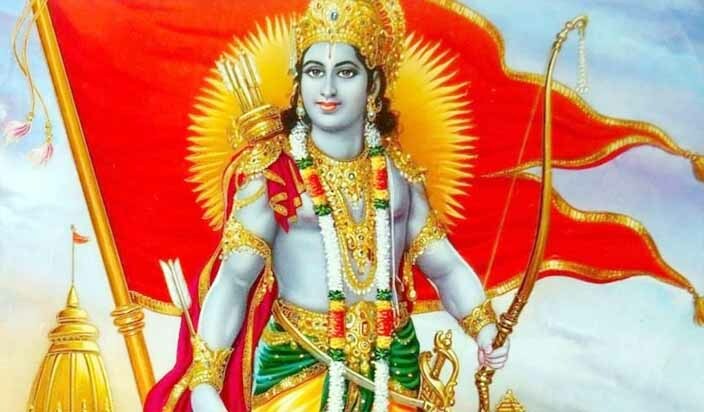 How Ram Navami is Celebrated? 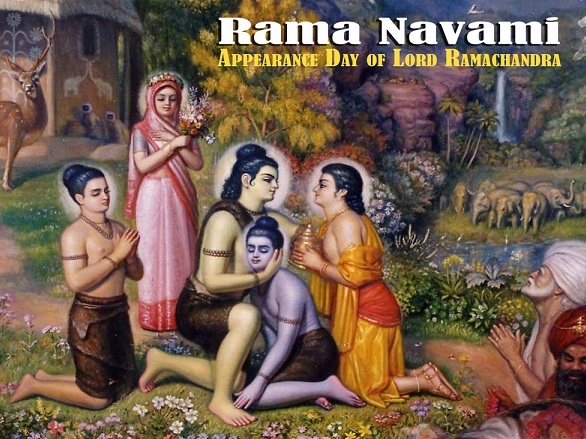 On the day of Ram Navami temples are decorated with flowers and garlands. 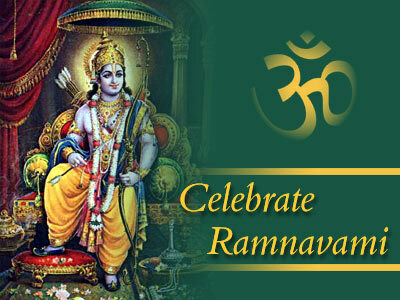 People celebrate enthusiastically by performing chants and reading holy book Ramayana. 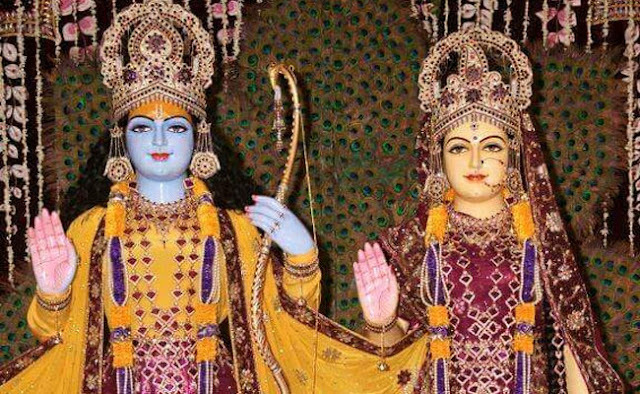 Idols of infant Lord Rama are adored and prepared for the worship. 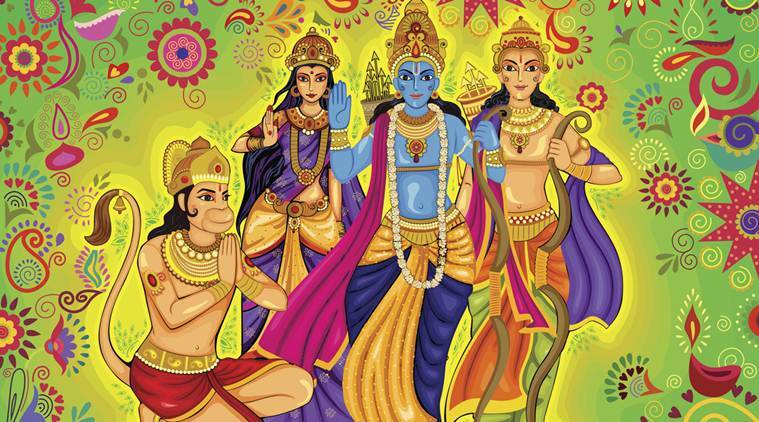 People bath the idols, put new clothes and accessorize them with beautiful ornaments. On the Ram Navami, there is Rath yatra is organized by local temples of the city which follows with the procession on a chariot. In the chariot idols of Lord Rama, Goddess Sita, Lakhshaman and Hanuman are placed in a beautiful way. The motto of this festival celebration is the purification of soul and body. It is strongly believed in Hindu mythology, by chanting and meditating the name of the lord in either form purifies your soul. 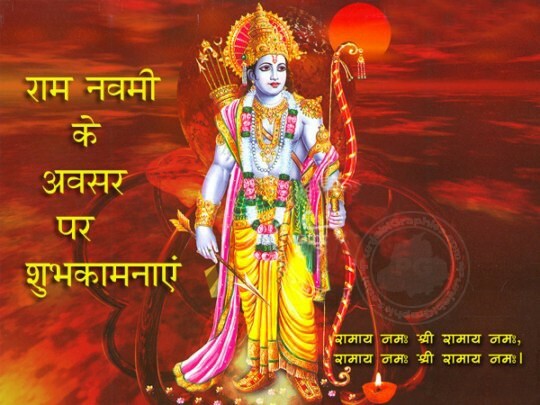 People also fast throughout the day; it is believed the person who fasts meets ultimate salvation. 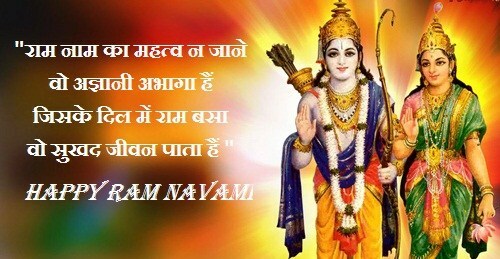 What do People do on Ram Navami? 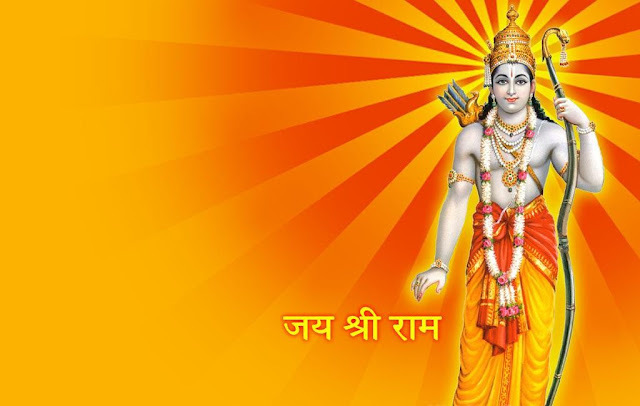 If you want to immerse in the love of tradition and religion do visit Ayodhya, the birthplace of Lord Rama. 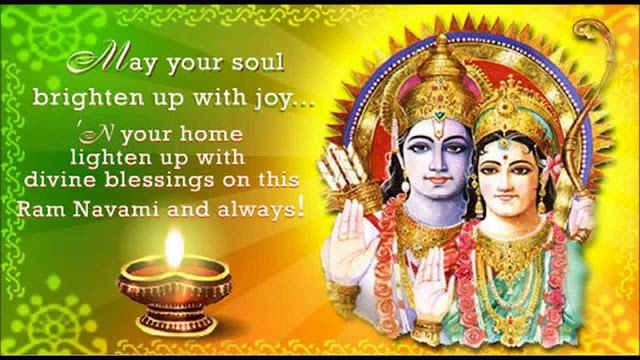 People in Ayodha decorate their houses and celebrate with a lot of joy. 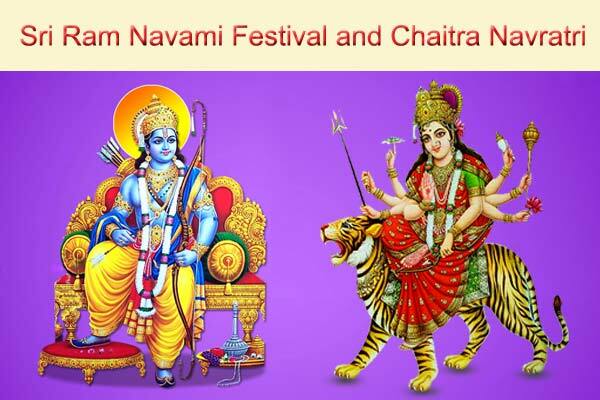 There is chariot procession is performed to celebrate this festival. There are also plays and dramas held in different temples of Ayodhya showing the life of Lord Rama. 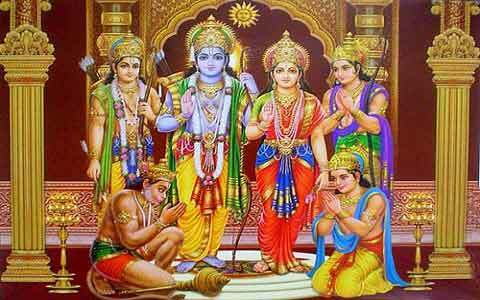 You can also see devotion in temples of Rameshwar located in Tamil Nadu. 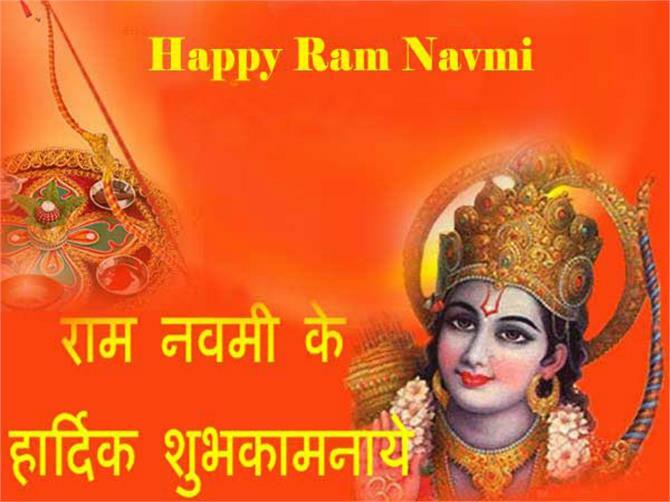 People usually plan for 2-3 days’ visit to this destination as it has many attractions nearby. 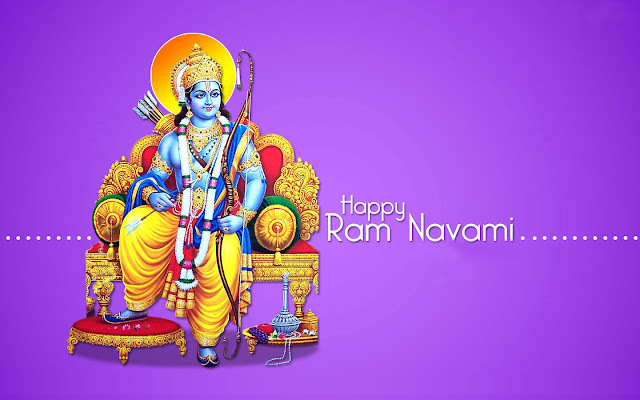 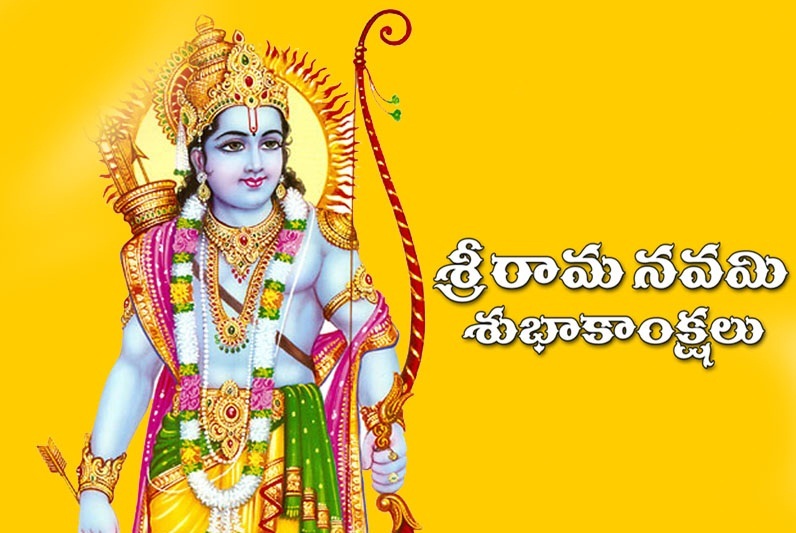 Situated on the banks of Godavari River temple Bhadrachalam, where you can see many attractions of Ram Navami activities. Sitamarhi is the birthplace of goddess Sita. It welcomes many pilgrims and devotees throughout the world. The temple is well decorated and hosts a fair to show immense love towards Lord Rama and Goddess Sita. 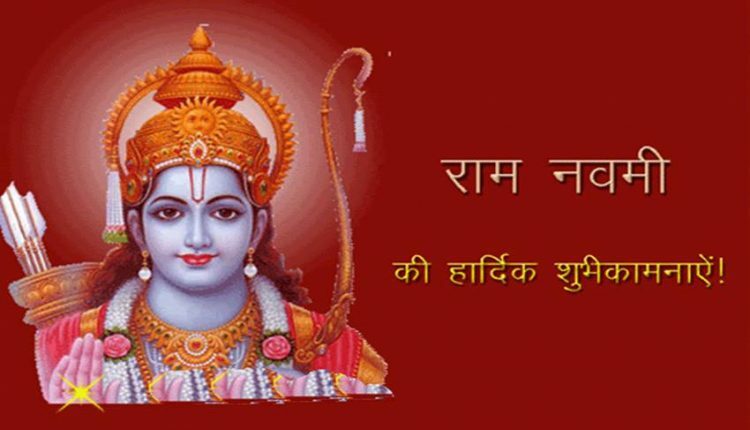 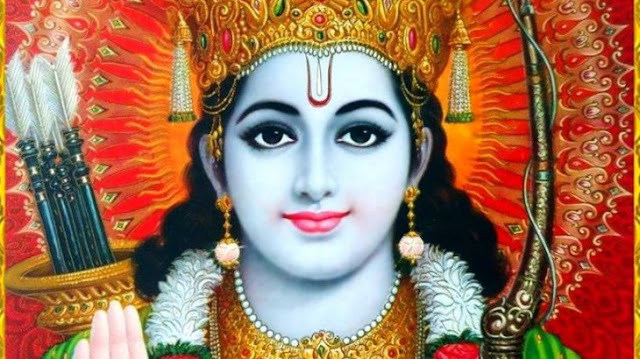 ISKCON temples conduct full-day chants and celebrate this festival by remembering Lord Rama.